I would like to receive occasional information and updates from Cares Family Fundraising: Silent Auction and jumblebee. 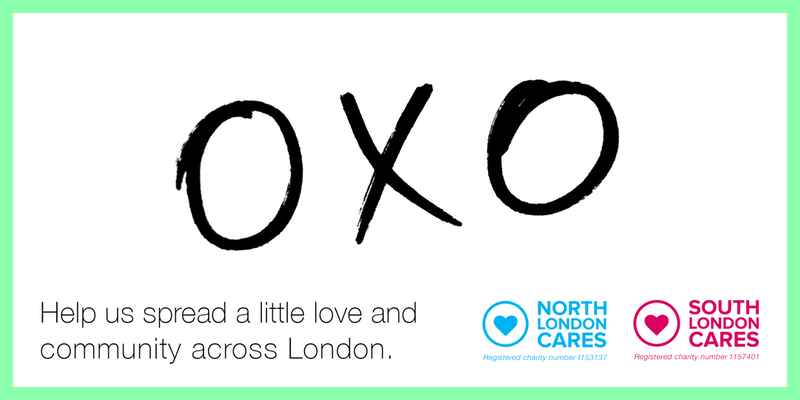 Help us spread a little love and community across London. As part of the Cares Family Fundraising Dinner on Monday 30th April, North London Cares and South London Cares are hosting this silent auction to raise money for our summer social clubs across the city. You are able to bid even if you are not attending the dinner, and there are a fantastic range of prizes for you to bid for, from designer handbags to exclusive spa breaks. All money raised from these amazing lots will go directly towards tackling isolation and loneliness during the summer, helping neighbours get to know each other within their communities, across generations and across the city. Bidding could not be easier - just click on the lot that you are interested in and enter the amount you would like to bid. You will be asked to register at the point of placing your first bid. You may bid on as many lots as you like and as the auction is open to all before the event we encourage you to involve those friends and contacts who are not attending on the evening. 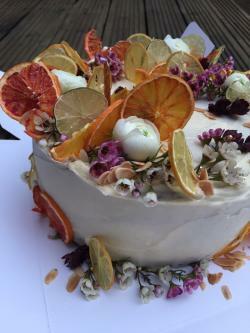 This online auction will run until midday on Sunday 29 April and will then go live on the evening of the Dinner. Any proxy bids will be carried through to the live event - by placing a proxy bid with your maximum amount you will be able to bid against guests at the Dinner even if you are not in attendance. Winners will be informed by email shortly after the close of the auction on the evening of the event. If you do not wish to bid on an auction item but would like to make a donation to South London Cares please click here, or for North London Cares please click here. Mulberry’s heritage and identity is quintessentially British. 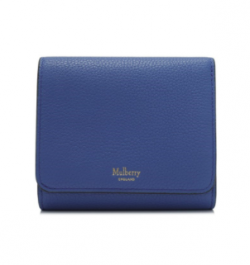 Their signature style is epitomised in these two classic items - a tri-fold continental wallet and matching coin purse finished in beautiful leather and decorated with the Mulberry new foiled logo design. Chewton Glen is a quintessentially English, privately owned luxury Country House Hotel & Spa on the fringe of the New Forest. With some of England’s most stunning countryside rolling up around us and the calmness of the sea just moments away, Chewton Glen is an idyllic escape. Tonight, you could win a day spa visit for two guests at Chewton Glen. Your prize includes use of all of the facilities at Chewton Glen’s sumptuous spa including the 17 metre indoor pool, hi-tech hydrotherapy centre, aromatherapy saunas, crystal steam rooms and outdoor whirlpool. It also includes an extensive Poolbar buffet lunch for two. The prize is based upon availability throughout 2018. Fierce Grace is a new yoga system, and a new brand. We led the UK in the Hot Yoga revolution. Now we bring practitioners the chance to achieve the ultimate blend of strength and flexibility for both body and mind. Based on classical hatha yoga, Bikram and Ashtanga yoga, Fierce Grace is a unique series of five different classes based on the same core poses and principles, each with a different emphasis, duration and intensity. From the yoga shy or the injured to the most ardent yoga bunny, our classes are designed to be accessible and effective for everyone. The variety of classes gives practitioners different options to suit their experience, schedule and mood whilst still working together as a whole. Meynell Fenton Prize winner Trinidad Ball was born in Barcelona, of Catalan parents. Her formal training took place at the Putney School of Art, Roehampton College and Central St Martin’s. The interaction of colour is the basis of her work, and she draws inspiration from the Spanish and Dutch masters to modern painters such as Hopper. Trinidad has been a member of the Skylark Galleries collective since 2007. 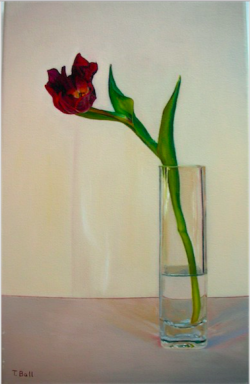 ""Red Tulip in a Vase"" is oil painting on canvas, measuring 25 x 40 cm. 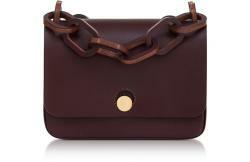 Stand out from the crowd with this gorgeous Sophie Hulme OxBlood Spring Crossbody Bag. Cut in shiny saddle leather, the Small Spring features clean lines and minimal details. Carry the sleek Oxblood style via the detachable shoulder strap, fasten via the polished, oversized rivet. With a chunky leather chain detail and structured interior to carry all your essentials, this is a staple for any outfit. 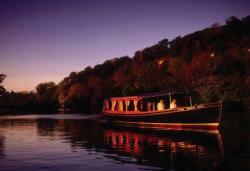 Cliveden House is a privately owned 5 Red Star award-winning hotel in Berkshire. The Grade I stately home is set upon 376 acres of National Trust grounds. You could enjoy a 45-minute champagne river cruise for two aboard the Suzy Ann, which was built in 1911 and won first prize for best professional restoration of a vintage boat at the Henley Traditional Boat Rally. Cruises depart at 5:00pm and 6:00pm April- October. Prize is based upon availability through 2018. Playing with Paint - A unique, private artist workshop. Leaving the corporate world in 2005 to paint full time, Sara Sherwood now sells her art all over the world and exhibits in London. Visit her at home in her studio near Upminster. Sit down with the artist, ask questions, learn some techniques of the trade, and even play with some paints yourself. Mikala Djorup's jewellery reflects both her Danish background and her fascination with the classic tradition of jewellery design. You could take home a beautiful set of oval ear studs, made from 18ct yellow gold with two white diamonds and a matt finish. 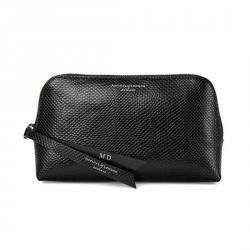 You could take home this signature Aspinal make-up bag, handmade from the finest jet black lizard print Italian calf leather and lined in shimmering grosgrain. Vic Lee's prints of London have become incredibly popular by word of mouth and his distinct style is made more personal by the fact that he illustrated and prints each one himself. Vic prints using the finest quality 100% cotton paper made by Somerset with a hefty 300gsm weight and water based acrylic inks - better for the environment. 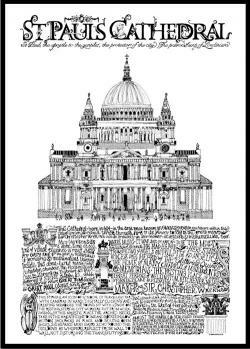 This print of St Pauls is framed and ready for you to take home this evening. 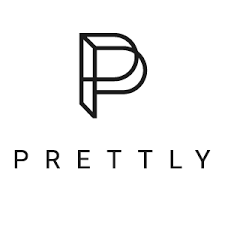 Prettly is a beauty on-demand service which delivers salon quality beauty services directly to the homes and offices of busy men and women in London. Our team of vetted, freelance, beauty professionals provide the ultimate pampering experience all in the comfort of your location of choice. 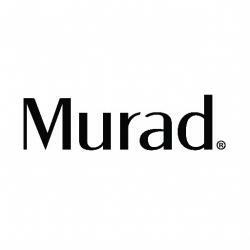 You could enjoy a classic manicure and pedicure, using top quality salon products, at a time and place that suit you. Maybe it's a family day out, or a birthday party, up to five of you have the opportunity to take on clueQuest - a 60 Minute buzzing team bonding experience. Help Mr.Q save the world from villains and devices in a thrilling puzzle solving race against time. clueQuest’s missions are only suitable for those aged 9 years and above. You’ll be able to pick any date available (including weekends) and the voucher is valid for the next 6 months. It can only be redeemed via clueQuest’s website, upon booking. 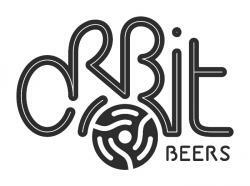 The beers brewed at Orbit Beers are deeply rooted in European tradition, with a modern approach. They take classic styles and make them their own, with an eye for finesse and drinkability. See London as you've never seen it before, from a paddle board! On 23rd September, Tideway is offering one lucky person the opportunity to paddle board through central London in an unforgettable challenge on the day of the Thames Barrier closure. The winner will join a team of Tideway paddlers taking part in the Big Ben Challenge, alongside about 200 other paddle boarders, paddling from Putney to Westminster and back. Because of the barrier closure there will not be the usual tides, but at a total distance of 20km this is not for the faint-hearted! The Director of Skylark Galleries in Oxo Tower Wharf & Gabriel's Wharf since 1999, Gill Hickman has always been fascinated by textures, layers and patterns, both in the natural world and in the urban environment. Gill explores these textures using fine hand-made papers from around the world and a special method she has developed. She first embosses her collages using an etching press then embellishes them with 24K gold leaf, silver or aluminium leaf. 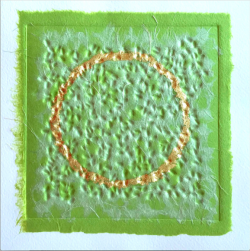 ""Olive Glow"" is an embossed collage embellished with 24k gold leaf, image size is 15 x 15 cm. It comes in a lime-waxed box frame size 50 x 48 cm. 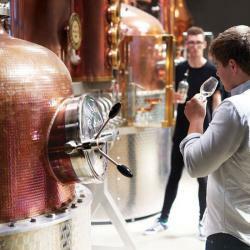 Two of you will have the wonderful opportunity to discover Sipsmith Distillery. You’ll be greeted with a ginny tipple in hand, and be taken through the chequered history of gin and learn how Sipsmith came to be. Their three copper ladies, Prudence, Patience and Constance will take centre stage and you will learn how our award winning spirits are carefully hand-crafted. Naturally, there will be a tasting of them too. Jo Malone celebrates British style with unexpected fragrences. In this lovely gift set you will find the classic Basil & Neroli Cologne (100ml), Earl Grey & Cucumber Body & Hand Wash Gel Moussant (250ml), and a Lime, Basil and Mandarin Candle. 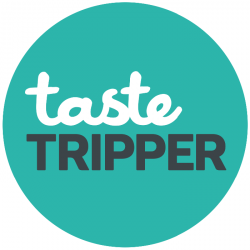 Taste Tripper have set out to change the way you discover and experience London. They want to introduce you to the businesses and brands that are worth your time and attention. With this prize, you can discover some of the best beer, wine, chocolate and coffee on this self-guided food tour experience. This is the perfect way to explore South London's artisan food scene. On Your Own Terms, in Your Own Time. 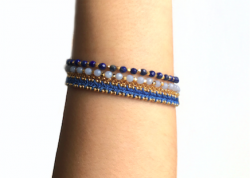 Each piece of Astley Clarke’s jewellery starts out as a drawing in the brand’s busy London studio and is then crafted using traditional techniques - and these three modern blue stacking bracelets will certainly add a touch of quality and elegance to any outfit. 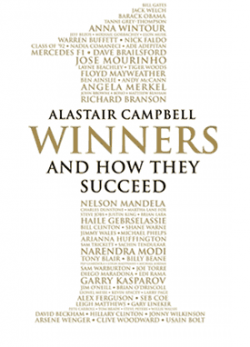 A copy of Alistar Campbell's 'Winners: And How They Succeed' with a personalised message. How do sports stars excel, entrepreneurs thrive, or individuals achieve their ambition? Drawing on the wisdom of an astonishing array of talented people – from elite athletes to top managers, from rulers of countries to rulers of global business empires – Alastair Campbell uses his forensic skills, as well as his own experience of politics and sport, to get to the heart of success. This copy of the book comes complete with a message from Alastair Campbell, which can be personalised by you. 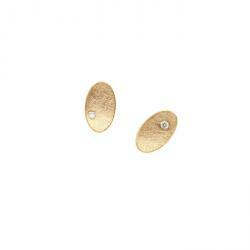 Astley Clarke Jewellery was founded in London in the year 2007. Created to speak to a new generation of consumers, these bracelets will add a dash of colour and style this summer. No 10 performed by Gianandrea and Nicola Benedetti. If you win this exclusive pair of tickets, you’ll also get access to the exclusive LSO VIP Members area, where drinks and canapes will be served, and there will be an opportunity to meet members of the Orchestra. Eileen Martin was born in Birkenhead, Cheshire, UK in 1937. She studied at the London Guildhall University and Central Saint Martins. She became a painter / printmaker and was a founder member of the Richmond Printmakers in 1991. Eileen's art was inspired by marks she saw in rocks and stones and her oil paintings develop this fascination on an abstract level. Eileen was an active member of the Skylark Galleries collective from 2004 to 2014. 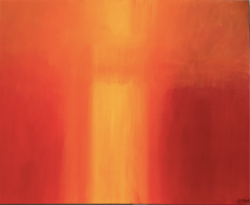 ""Yellow with Red and Orange"" is an oil painting on canvas, measuring 61 x 76 cm. You and seven friends could visit Partizan Brewing for an exclusive tour of the brewhouse, hearing all about the process, equipment and ingredients Partizan use to produce 2000 litre batches of beer in South East London. Learn a little about Partizan's history and what makes them different. The tour will conclude with a tasting where you will get to try a number of beers and enjoy a Q&A with a brewer in the more comfortable surroundings of the taproom. We will include at least three cheeses to be enjoyed alongside the beer from neighbours Neal's yard dairy. Tour available on Friday evenings and is redeemable within 6 months. Children are entirely welcome to accompany you on the tour at no extra cost but of course without the tasting at the end, subject to space. Dogs are not allowed in the brew-house, they are however welcome in the taproom as long as they are supervised. 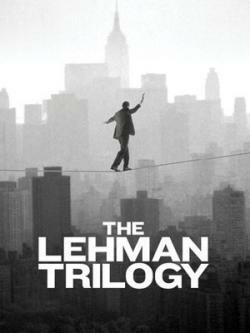 The Lehman Trilogy is the story of a family and a company that changed the world, told in three parts on a single evening. Sam Mendes directs Simon Russell Beale, Adam Godley and Ben Miles who play the Lehman Brothers, their sons and grandsons for this sell-out performance. Not only could you have the opportunity to watch this show from sold out top-price seats, but you'll also enjoy an exclusive backstage tour of the National Theatre. An Executive Chef will come to your house along with all the ingredients needed to create a culinary feast for you and your guests. The Executive Chef (from Culinary Temptations) will be accompanied by a Commis Chef and between them they will provide a sumptuous 7-Course tasting menu. 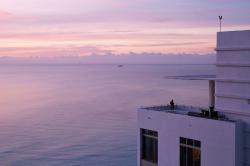 They will serve all the dishes to your table and provide you with a hassle free night to remember. Even the washing up will be done for you! What's more, you will enjoy a unique Champagne cocktail to start the evening with. To take place anywhere in England on a selected Sunday - Thursday date in the evenings, subject to availability. (Fridays and Saturdays are available subject to availability and upgrade). Maximum 10 people. Once you have made payment for your fantastic item you will be sent an e-voucher within 24 hours, which you will need to redeem. Your voucher is valid for 12 months from the date of winning your item and must be redeemed within 3 months of purchase. 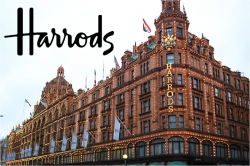 You will enjoy a 2 hour wine tasting within the beautiful and newly refurbished Harrods Private Wine Room. After being welcomed with a glass of Grand Cru Champagne, one of the Harrods experts will take you through a guided tasting of six wines. These six wines will illustrate the fundamentals of wine-tasting, grape-growing and wine-making. Every tasting is entirely unique and never uses the same selection of wines twice, as many of their wines are from tiny plots of vines and produced in such limited quantities. You can be sure of a fantastic selection of premium and super-premium bottles. 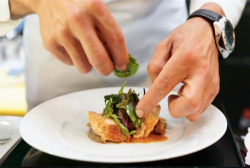 After the tasting you will then make your way to Gordon Ramsay’s Michelin star Pétrus to enjoy a three course lunch. This experience is for 4 people and will be valid for various dates between June & December 2018, weekdays only. Duncan is our Photographer this evening, and a long time supporter of North London Cares and South London Cares. His body of artwork is impressive - specialising in taking photographs of athletes, lifestyle and landscapes, his clients include Nike, Virgin Media, New Balance and the North Face. These pieces of work are exclusive to Duncan’s fine art collection – and both have recently been exhibited at Somerset House. These prints are limited-edition with only 7 of each print created. The beautiful Lambda C-Type print is expertly created by the marvelous team at Genesis Imaging in London. Both photographs are showcased in a classic gallery black wood frame, with art glass to protect the prints against the effects of UV rays. Duncan is happy to answer any questions on both pieces throughout the evening.